If there's nothing wrong with the engine, transmission or suspension keep it. Provided the car has been looked agree, nothing stopping you getting every penny's worth out the meat of the car. Aircon, radio and satnav are all easily replaced, just a case of shopping around and finding trustworthy traders to do the work. See below my 370z black car mats for sale. In very good condition, though there is some wear on the drivers mat. £45 for the set posted. Also happy for you to collect from B66. I'm happy to do a good price on my Cobra if you're interested? That was an amazing line up of cars! Really enjoyed the meet and look forward to plenty more this summer. Also massive shout out to everyone who offered a few hints, tips and lessons learned. Guess I'll see y'all at Japfest next?! We'll have to organise a good convoy for that too. Unfortunately no good photos to offer. It was said that Nissan ditched the steering lock and GPS tracker from 2011 onwards but I'm not 100%. Pretty sure they're no longer Thatcham 1 standard. Sure someone will come along and confirm it. This still the plan yeah? See you all tomorrow! 370z with upgraded air intakes, aftermarket exhaust and a remap, usually get 35 on the motorway and 28 in town. Cruise control helps keep MPG down on the motorway but spirited driving will easily take you down to 10mpg. Stock NISMO won't be too different. My new nismo! Couple of queries/problems if someone could answer? Japanese cars are known for noisy clutch release bearings but yeah mine is the same. Quick Google says its a characteristic of the 370Z. Wouldn't worry too much. 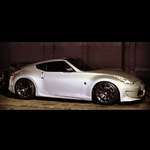 I thought the 370Z was fitted with Akebono discs, calipers and pads? I'm not gonna argue £300 vs £3000, that's a different story altogether but Heinz and Tesco both do beans, they both come from the same source. Unless the discs go wrong and I need to pay twice, then it's really not a bad idea to salvage a few quid and put it into something else. Mehhh we've all had brushes with insurance companies, some of us have the inside scoop so start the process a few steps ahead. So Shell have recently started moving over to a new loyalty program, Shell Go+. I've just visited 10 times topping up at least £10 (more like £20 a time on average) and I've been rewarded £1 back. Thinking it's time to exclusively use Tesco Momentum from here on in, especially with the points of view in this thread. Read up somewhere that ecutek can be mapped for 99 octane fuel and helps draw a little extra power and efficiency. Anyone? More money != better quality Otherwise nobody would get the cheapest insurance. . . If nobody has noticed any warping then I'm getting these, upgrading my brake lines and spending on the pads instead when the time comes. Interested to hear how this all works out, tempted by the discs if they're at that price! Spend the savings on the pads and braided lines!